Xolo unveiled new smartphone Xolo Era 1X Pro in India on 14th July. Registration for the sale is already started on Snapdeal and First sale will be live at 12 PM, 19th June. Price of this smartphone is Rs 5,888 and it comes in two color variants Black and Gold. 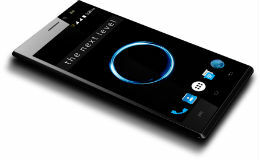 The USP of this smartphone is dual LED Flash on front side. With this USP, It looks like the company wants to cash the soft side of the many smartphone lovers that is Selfie, as the dual led flash provide the favorable conditions to click brightest selfie specially in low light conditions. Era 1X Pro sports a 5 inch (1280x720 pixels) HD Display. It is powered by 1.5GHz Quad-Core Processor bundled with 2GB of RAM and 16GB of inbuilt storage which is further expandable upto 32GB via microSD card. Company hides the model of the chipset. It runs on Android 6.0 (Marshmallow) Operating system. For optics, it features 8 Megapixel rear camera with led flash. Few rear camera features are 4P Largan Lens, Slow motion video capture, Beauty Mode, Live Photos and Time-Lapse video. On the front it is equipped with 5 Megapixel sensor with dual LED Flash. Connectivity options includes 4G VoLTE enabled dual sim slot, Wi-Fi 802.11 b/g/n, Bluetooth, FM radio, a Micro-USB port, and a 3.5mm audio jack. Sensors on board include accelerometer, ambient light sensor, and proximity sensor. A 2500mAh battery is present to power the smartphone.